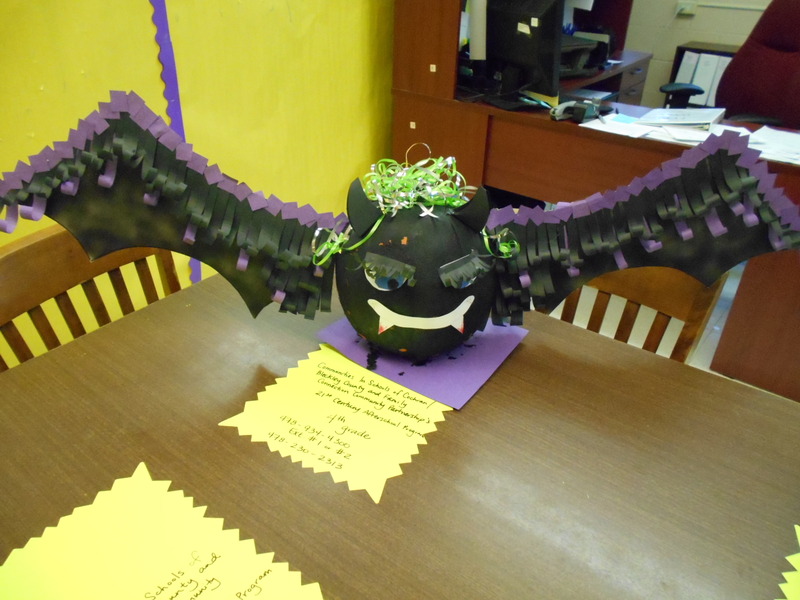 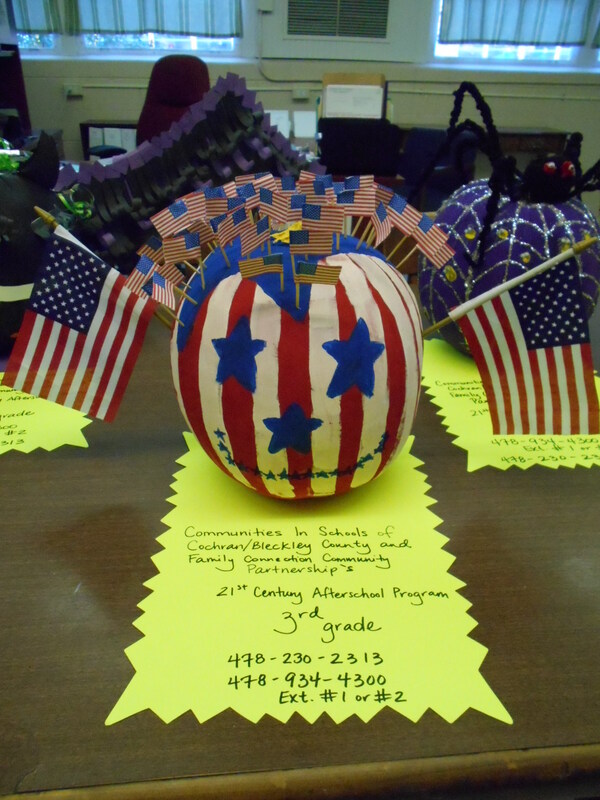 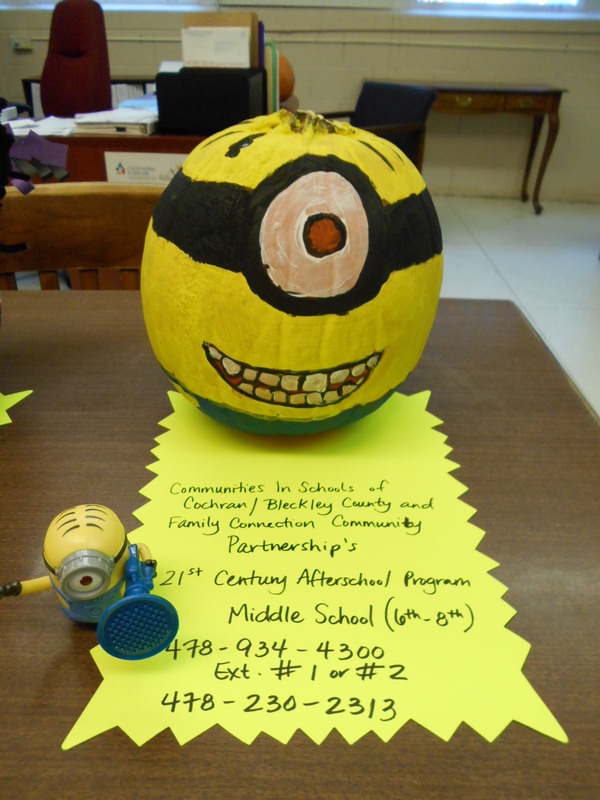 Each 21st CCLC afterschool program class entered a pumpkin in the JC’s Shaved Ice Pumpkin Decorating Contest this month. 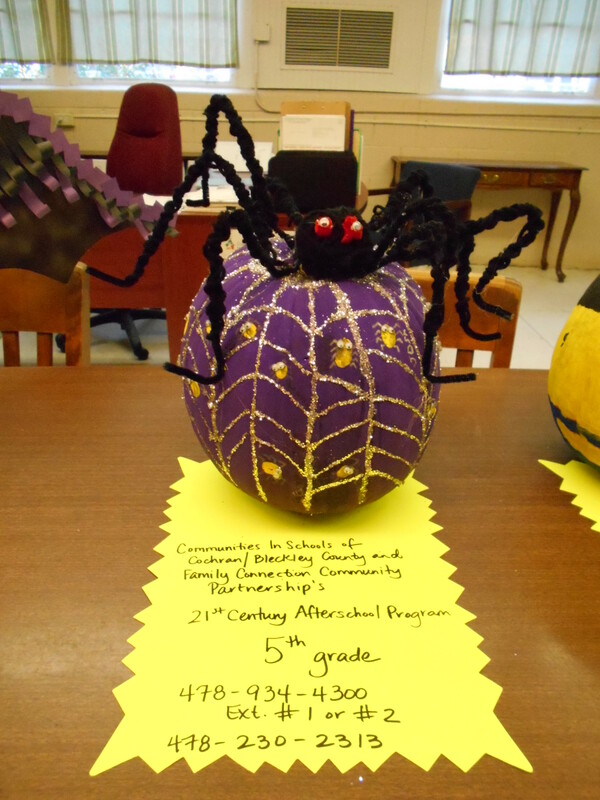 The middle school class was awarded 1st place, 4th grade took 2nd place, and 5th grade was awarded 3rd place. 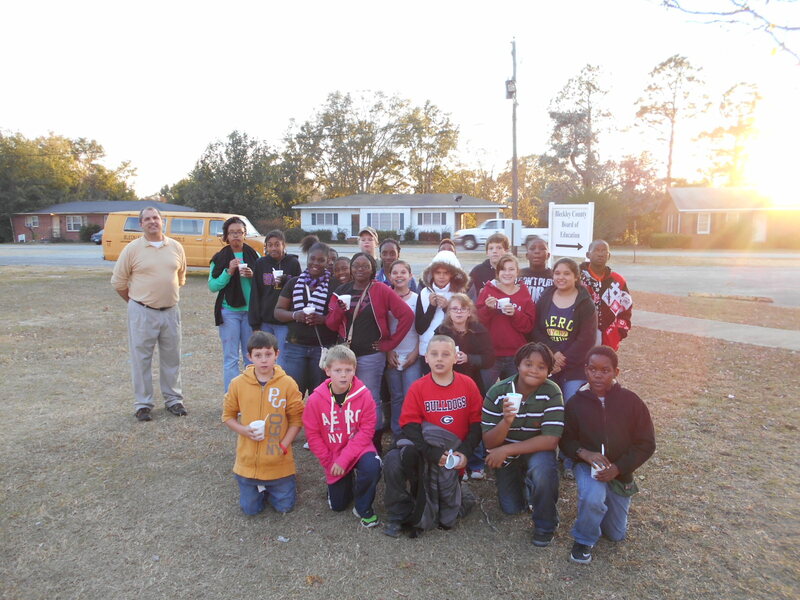 Because the top three awards were given to 21st CCLC participants, Mr. John Crowe, the owner of JC’s Shaved Ice, graciously provided all students with a shaved ice party! 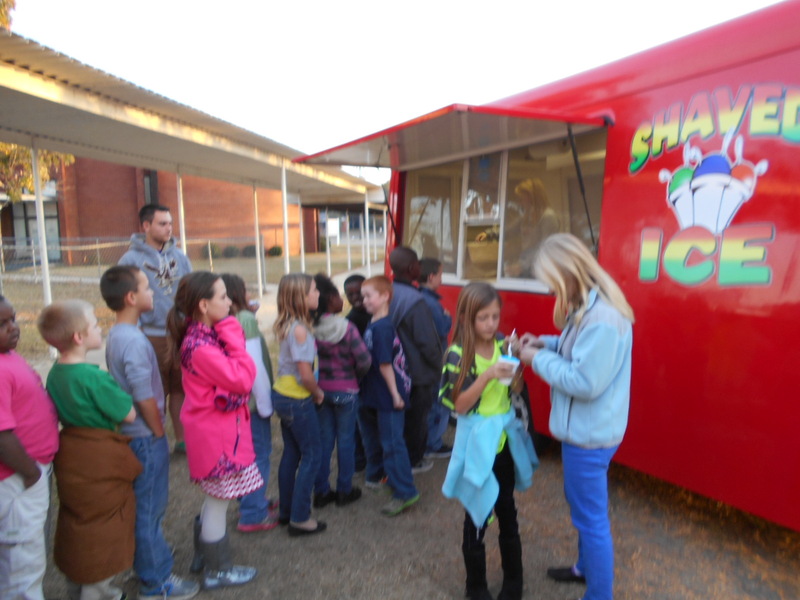 Students wait patiently in line for their shaved ice treats!